Getting moved to your new location is only half the battle. Once your Mt. Pleasant movers have dropped off the last box, the real work begins as you scramble to unpack boxes and get things put away as quickly as possible. Unfortunately, getting those boxes unpacked in a timely manner can be a real challenge, especially if you’re going to work and the kids are going to school. That doesn’t mean you have to feel out of place in your own house! Here are a few tips that’ll make you feel more at home, even if you’re stuck living with moving boxes for a few weeks. Home feels different to everyone—even to people living in the same house. Packing a box of essential items is a good start, but if you really want everyone to feel at home, they need to pack their own bag. For mom, a moving bag might include a new novel and a few scrapbooking supplies. The little one would appreciate a few of their favorite toys, while dad may want to keep his tablet handy. By packing a moving bag for every family member, you can ensure everyone has a chance to get settled in, even if everything isn’t unpacked yet. Nothing screams moving day like sitting on the floor and using moving boxes as tables. If you want to settle in as quickly as possible, you need to set up the furniture in your new home. Setting up furniture will help you create the layout of your living spaces, which in turn can make unpacking boxes easier. It’s also more comfortable, especially if you can get the TV set up as soon as possible. You deserve a break from unpacking, after all! Everything will have to be unpacked eventually, but some rooms have the potential for making you feel at home more than others. The kitchen is going to have the most impact on how you feel about living in your new house, so it should be unpacked first. By unpacking the kitchen, your family can gather around the table, which will only make you feel more at home. The kitchen is also the most difficult room to get set up, so doing it first means you don’t have to worry about doing it later. If you know you won’t be able to unpack all of your boxes right away, a Mt. Pleasant moving company can help. 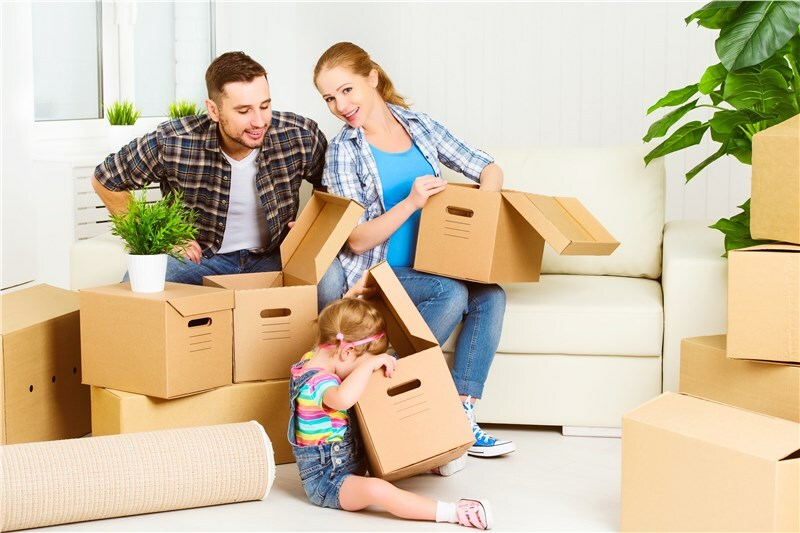 The movers at Azalea Moving & Storage can help keep things organized so moving into your new house, and feeling at home, are much easier. Give us a call or fill out our online form and we’ll provide you with a free moving quote.